Someone special makes your days a little sunnier? Tell them so with this dazzling arrangement of joyous flowers. 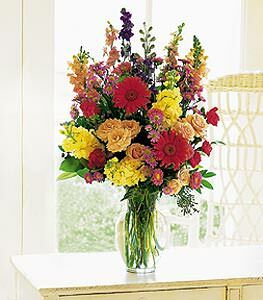 Asters, spray roses, gerberas, snapdragons and larkspur arrive in an attractive glass vase.